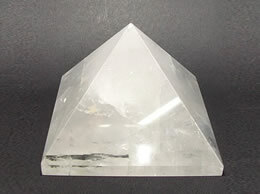 All the Quartz Crystal Pyramids in the section are handcrafted from Natural Rock Crystal mined from Earth. As these are handcrafted from natural Rock crystal there are Natural inclusions found in it. 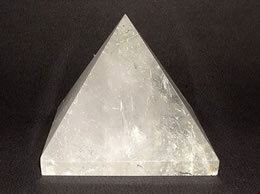 You may also find Quartz crystal Pyramids with high clarity. These quartz crystal pyramids are used in different healing therapies like Crystal healing, Pranic healing, Reiki and Feng shui. 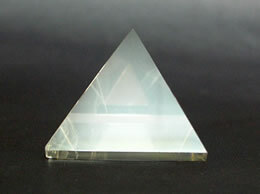 For wholesale and bulk quartz crystal pyramid product inquiries do contact us.